Seniors search for convenience, accessibility to care and community as they explore senior living options. Chuck and Susan Johnson live active lives. They were barely unpacked from their sojourn to Dubai and South Africa, but they were already looking forward to the next adventure: a cruise to Taiwan and Singapore—their 80th cruise. They are members of the Kiwanis Club, a global volunteer organization. And, when they’re in town, the couple teaches ballroom dancing. The retirees were seeking low-maintenance living when they decided to transition to a senior living community, also sometimes called a life plan community or a continuing care retirement community. They wanted someone else to do the yard work, someone else to manage the mail during their stretches at sea. Like many others in search of the best senior living environment, convenience was on the Johnsons’ mental checklist, as were a number of other factors: friendly people, tasty cuisine and scenic views. They visited five other communities before moving to Westminster Gardens, a HumanGood senior living community in Duarte, California. The Johnsons wanted a home, but other communities they visited felt like high-rises, with people waiting in hallways for elevators. “We had seen so many of them that looked like a hotel or something,” said Susan. Westminster Gardens, with its individual residences variety of floor plans, met their needs and felt like a place they could call home base. Assisted living and memory care options at Westminster Gardens also added a sense of security. The couple, who has no children, doesn’t need those services now but realize that someday they might. HumanGood offers multiple levels of care so resident couples can remain together more easily if either of their health needs change. Oliver and Sandra Cope were also seeking the assurance that care would be available if their needs change in the future. 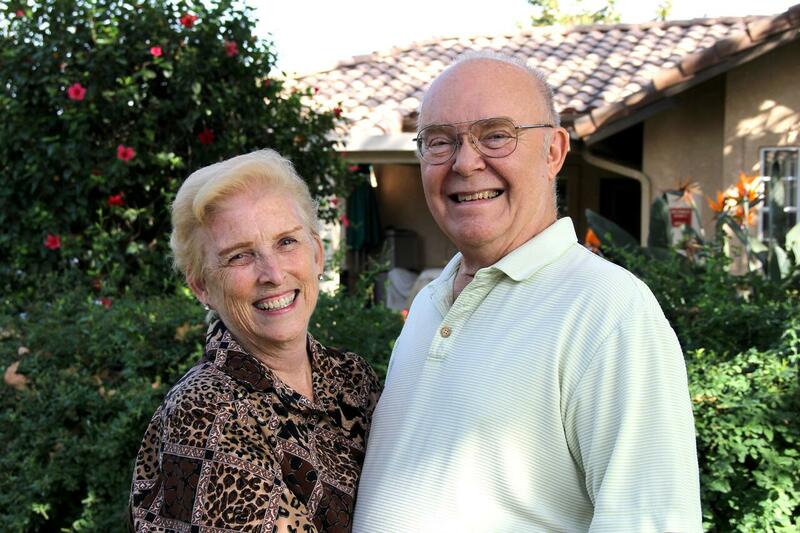 The couple moved to Regents Point, a HumanGood senior living community in Irvine, California, from Wisconsin. “We wanted to pick a place where we only had to move once,” Oliver said. Another plus: two growing granddaughters who live nearby. “They’re a big part of the draw,” he said. The move was definitely a process. Like the Johnsons, the Copes did their research. They started online and eventually toured three other locations before settling on their two-bedroom villa. In-person visits are crChooucial to understanding not just the lifestyle options and amenities but also the community’s personality. What are the people like? What kinds of activities are most popular? What do people do on a Friday night? HumanGood helped make the move easier by connecting them with companies that helped sell their Wisconsin home and pack up for the move. Once at Regents Point, the couple became very active in the community. Oliver, a retired college professor of religion, is a bingo caller as well as the guy who cleans up the woodshop area where residents can repair and refinish furniture. Woodworking is a longtime hobby of his. Forty-five miles away in Duarte, the Johnsons also believe they made the right decision They spent the last four decades living in in Pasadena and are happily settled in at Westminster Gardens. “We decided we were only going to move every 40 years,” Susan joked. The social connections—and the view—are worth staying put for. They walk out their back door each day where a huge oak tree greets them. In the distance, they see the gentle slopes of the San Gabriel Mountains. Learn about the benefits of senior living to understand your options and to make an informed choice with your family. Couples don’t always age at the same pace. Find out how senior living helps provide caregiver support so couples stay together—whatever their individual care needs may be.